Is your kitty overly aggressive? Do they grab onto your feet and claw at your ankles when they shouldn’t? Do they seem normal one minute, and then hiss and claw at you or an innocent guest the next? Cats can become overly stimulated with too much pent-up energy and no good way to release it. Causes range from boredom, to feeling insecure, and even to stray cats getting too close to your property. Whatever the cause, these five solutions to aggression can make a huge difference in calming your kitty. If your cat isn’t getting enough attention and play, then they will have a lot of pent up energy that has to be released. This can come out in the form of aggressive behavior, such as randomly hissing and clawing at you, attacking other pets, or meowing nonstop at night. Cats do this because they simply don’t know how to release all their extra energy in a positive way unless you show them how. You have a lot of options for cat play time. A cat wand toy with a feather or squeaky ball on the end can be entrancing for your pet. Cats also like those “red dot” laser pointer toys–just don’t shine it in kitty’s eyes! Whatever toy you use, act like the toy is prey, hide it around corners and “flee” from the cat, so he’ll think he’s hunting. Play with your cat every day to burn off energy and keep them calm. This play time will also create a loving bond between you and your cat. Cats communicate through movement, eye contact, tail and head bumps, and sounds like hissing. If you imitate your cat’s language, he’ll catch on faster when he’s doing something wrong. If you start when he’s a kitten, he’ll pick up on the language much faster. Making a long “fffff” sound imitates a hiss and can quickly show your cat that their current actions are not allowed. 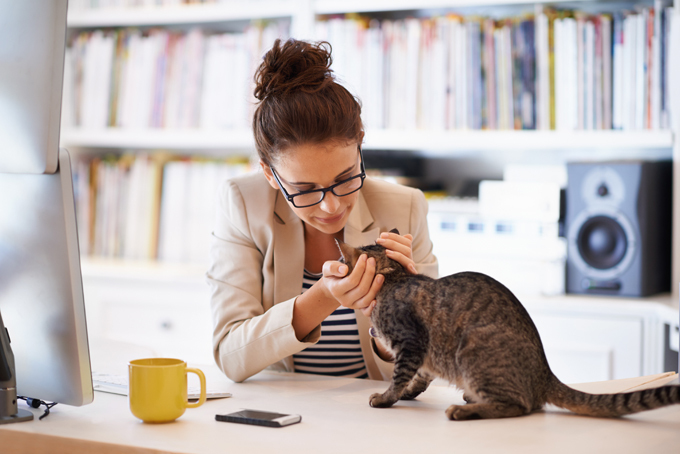 Make the sound quickly and at the immediate moment the wrong behavior is occurring, so your cat won’t be confused about the message you’re sending. Repetition and follow-through are key. If you feel bad after making an “fffff” sound and immediately pet your cat, they’ll be confused about the message you’re sending, so make the sound and then avoid affection for a few minutes. 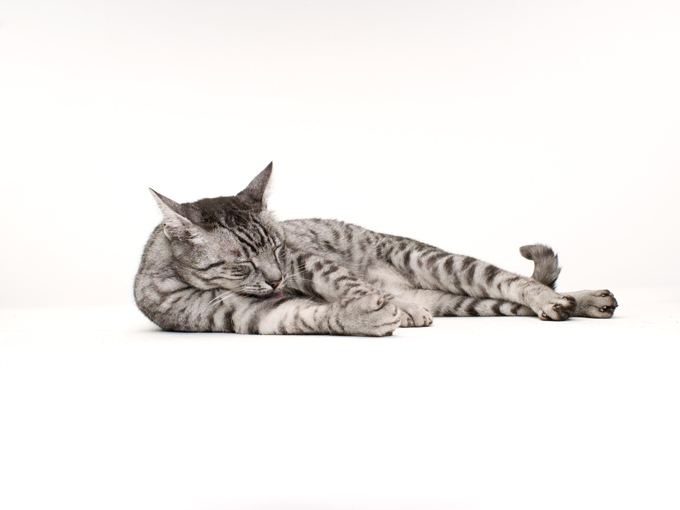 Many cat experts recommend calming herbal products and plugins that release a calming scent in the room. Some herbal plugins imitate a cat’s natural calming pheromones. Set these up in the rooms where your cat has the most problems. For example, if he gets anxious and aggressive in the living room, set up a plugin there. The calming scent signals to kitty that everything is okay. 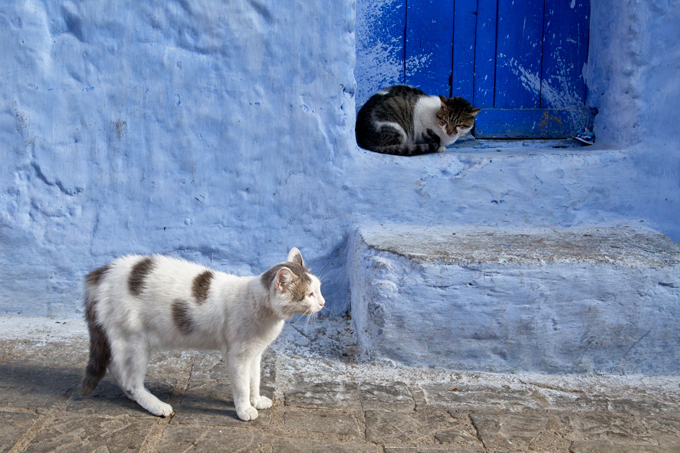 Your cat may get anxious and aggressive if another stray cat is wandering outside. This cat’s scent, which he can notice even inside your house, makes your cat feel like his home is in danger. Imagine if a strange person was circling your property and looking inside. You would feel anxious and aggressive too! For kitty’s sake, find ways to dissuade the visitor. You can get timed sprinkler systems that are motion activated, for example. The gentle water spray will encourage the stray cat to leave without hurting them. You can also step outside with a squirt bottle and make the hissing sound yourself to drive them away. Finally, tall cat trees are a great way to help an overly aggressive kitty feel more in control. Sometimes, aggression comes out because a cat feels defenseless or vulnerable. They may be intimidated by other cats or dogs–even by other people or kids in the house. Because a cat tree is high off the ground, they feel safer and have a better view of what’s going on around them. Climbing up and down the tree can also help them get out some pent-up energy! A cat tree can even help a skittish cat come out of their shell and hang out when people are visiting. 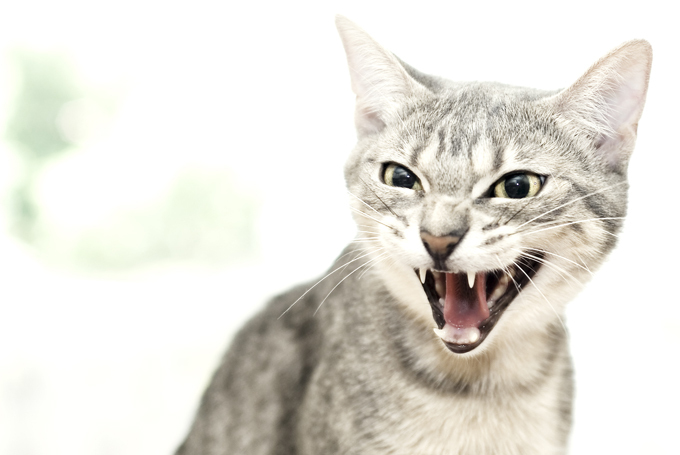 A number of factors can contribute to a cat’s aggressiveness. Just remember: bad behavior doesn’t mean your cat is bad. In fact, it usually means that your cat is stressed or has too much pent-up energy. Take them to the vet if you suspect a health issue. When your cat gets an all clear, one of these remedies might help your kitty become friendlier and more sociable. Best of luck! What do you do to help your cat release energy? How do you correct unwanted behaviors? Let us know in the comments below!